The stories in the first half of the book of Daniel are Sunday School favorites, and the visions of the second half are sometimes hard to understand. How do either of them relate to the world today, with its frequent news of conflict, injustice, and human suffering? In this book, Barbara M. Leung Lai succinctly takes readers through Daniel, showing throughout how God responds to the needs of his people in difficult times. In a world that seems out of control, God provides glimpses into the mystery of his glory and sovereignty, showing that he has not stopped working and reassuring us that he is still the God of gods and Lord of lords. It is a message that is as necessary today as it was in Daniel's time. Glimpsing the Mystery: The Book of Daniel by Leung Lai, Barbara M. was published by Whitaker House in October 2016. The ISBN for Glimpsing the Mystery: The Book of Daniel is 9781577997740. 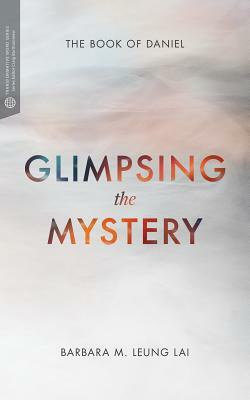 Be the first to review Glimpsing the Mystery: The Book of Daniel! Got a question? No problem! Just click here to ask us about Glimpsing the Mystery: The Book of Daniel. Author / Artist Leung Lai, Barbara M.